When it comes to pies, I’m more of a crisp fan. I think of crisp’s as the lazy-person’s pie. 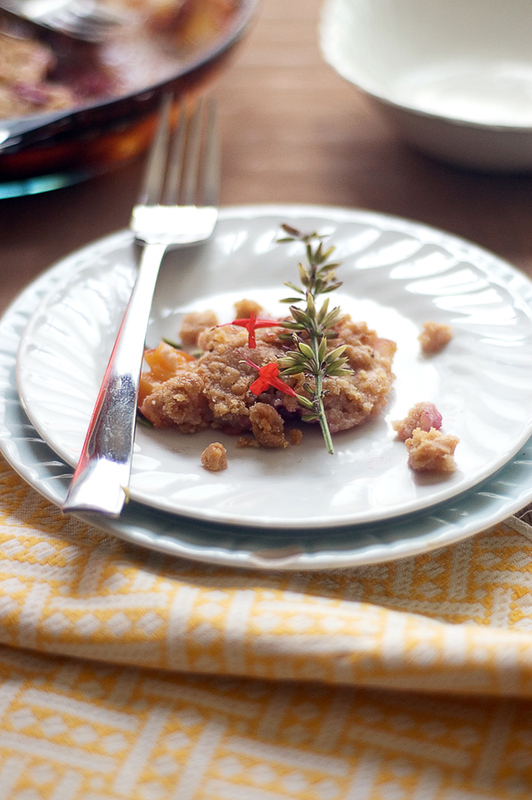 So when I got a hold of some stone fruit I thought making a crisp would make a great excuse to photograph. 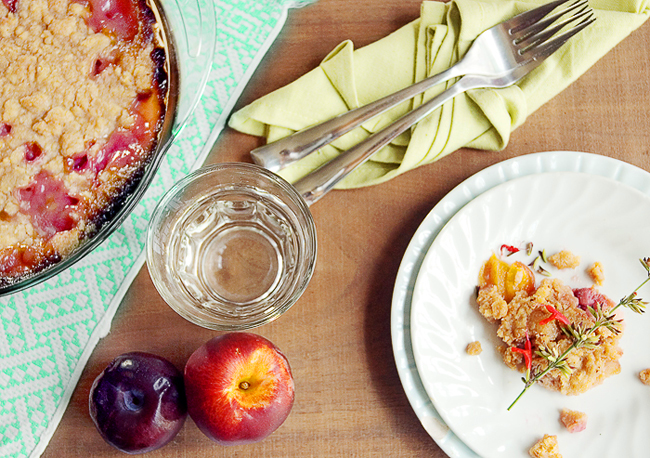 Photographing this nectarine and plum crisp was really fun. I’m experimenting with more prop styling and I just happen to have come home from the thrift store with some new props when I decided to bake the crisp—great excuse indeed! Add all ingredients to a stand mixer and mix until just combined. The mixture should be crumbly. Mix all filling ingredients in a bowl until well combined. Place filling in the bottom of a pyrx pie plate or square casserole dish. 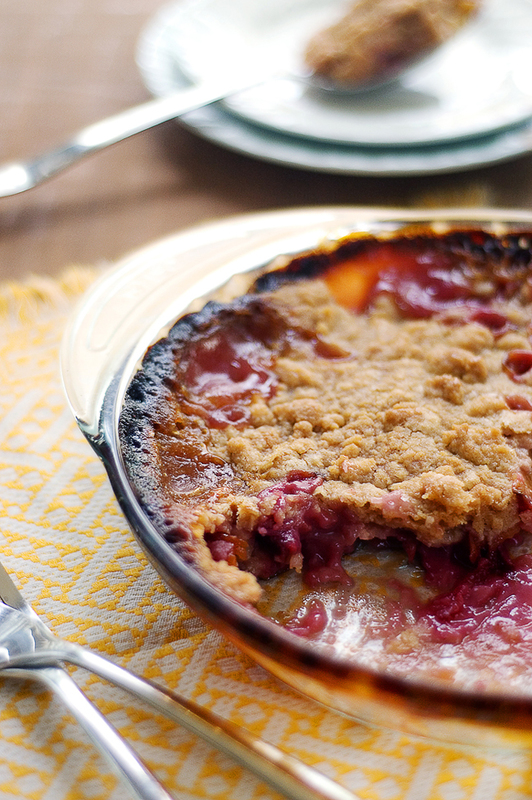 Take topping and crumble on top of crisp until completely covered. Bake at 350 degrees for 1 1/2 hours, or until the top is golden brown. Looking for the best Charlotte furniture store? Then look no further than Boulevard Home Furnishings Bazaar. Discover a market place filled with fabulous finds below wholesale prices. This unique furniture store features one-of-a-kind high end furnishings purchased from high-end, brand name manufacturers. Visit today and find row after row of exquisite sofa's and loveseats, exotic wood cabinets and tables, as well as luxurious rugs. Made this today. Followed the recipe exactly and it turned out perfect!